AoG Alpha 6.0 Çıktı! | AoG Alpha 6.0 Released! Fight in epic battles against your foes whether it is with a friend or on your own. Use strategy to your advantage, choose either infantry, tank or air forces; or use a combination of all three. Research and upgrade new abilities for your units. Diminish your foes and bring dominance to the battlefield! Use all the Dozers you have available to construct anything from power plants and depots to research facilities and war factories. Toughen up your defenses with different types of turrets to match the assault of your enemies. With resources gained from the battlefield, train forces to help push the enemy back or increase defenses on resource points. Pick from infantry, tanks or helicopters depending on which suits your situation best. Gain experience and spend level up points to increase your units' offense, defense or speed. Upgrade your infantry with new equipment to make them powerful against different unit types. 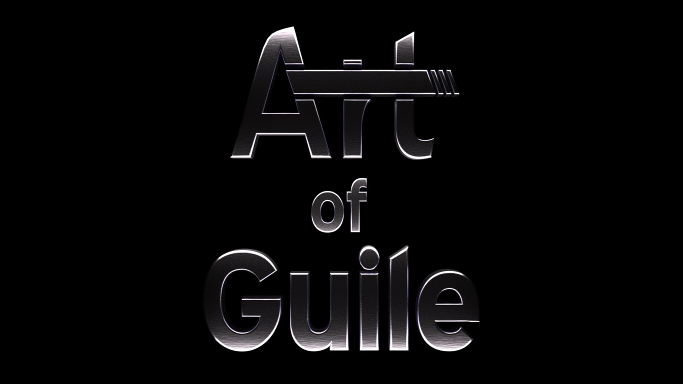 Each unit has their advantages and disadvantages in the terrain of Art of Guile. Will you use rivers as an advantage to slow the enemy down or swamps and their long grass to prepare a surprise attack? Take your pick from a selection of maps to fight your battle. Make quick decisions on the battlefield using your units to round the enemy to crossfire, suppress the enemy with a barrage of bullets or by using explosions and high firepower to your advantage by scaring the hostile units. Remember to take cover to protect your units from getting hit! * Build your base from the ground up. * Train a multitude of units from different buildings. * Secure your base with turrets to guarantee yourself a safe location. * Research new abilities and units. * Fight across several maps with different layouts and terrain. * Play single and co-op missions. * Team up with a friend through Multiplayer or bring an AI, if not solo. * Watch a nice environment turn dirty with the visuals of war with corpses, demolished buildings and destroyed tanks. * Create your very own maps using the built-in level editor and publish them for others! * Level up your units to defensive, offensive, and speed rank types. * Units experience war situations such as suppressed, fear and crossfire. * All units can take cover to survive in the battlefield. * Auto match and player ranking system. * Terrain, such as grass can affect gameplay by making units slow or allow ambushes. This game is an indie RTS game which has been developed by two people in nearly two years with a custom game engine. Also, special thanks to him who helped us a lot about almost all other aspects than programming (tests, descriptions, reviews, trailers, screenshots etc. ), Thor Youlton. We need a 3D and a 2D artist. If you want to get involved with this project, add "um | wArtist" as a friend and tell him. AI yani skirmish maçlarda max. asker limiti kaç? Büyük ordular yapmayı seviyorum. Nüfus limiti şöyle 10 k falansa tadından yenmez. Ayrıca her çeşit birim (askeri olsun tankı olsun uçağı olsun) standart olarak 1 birimlik yer mi kaplıyor yoksa kimisi 1 birim kaplarken kimisi daha fazla kaplayabiliyor mu? AoE ve Stronghold daki gibi base building olayı var mı? CoH ve coh tarzını sevmiyorum. AoE ve Strongholda daha yakınsa ve max birim sayısı yüksekse iyi olabilir. Başarılı bir yapım olmuş emeğinize sağlık.En kısa zamanda yeşil ışık alacaktır.